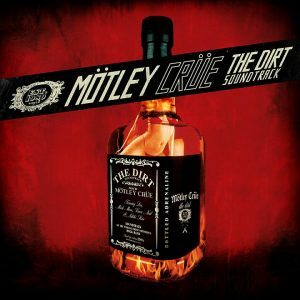 ‘The Dirt’ Soundtrack Album Review – Spotlight Report "The Best Entertainment Website in Oz"
I will never forget my first reading of The Dirt: Confessions of the World’s Most Notorious Rock Band, nor will I forget first hearing Mötley Crüe’s music (my first song was Shout at the Devil). Mötley Crüe were a motley crew of lost young souls with a passion for drugs, violence and music. They were destined for greatness or for destruction depending on which way they went, or how you looked at it, but either way there is no denying the impact the world’s most notorious rock band has had on the music industry since they first stumbled into each other’s lives. From their very first moment together, they had it: that magic that drives a band to success. After every great success, there must come the fall, and fall Mötley Crüe did. Hard. 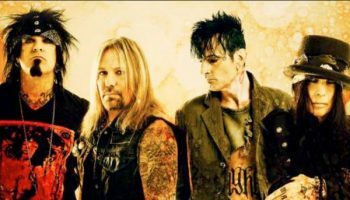 But, like a slasher villain that just won’t stay down, Mötley Crüe kept on coming back, and every time they got wilder; surviving overdoses, car accidents, marriage breakups and band feuds, nothing would stop them from reaching new levels of notoriety. The Dirt tells their story, from petty criminals to rock legends, and underscoring it all is the music. So, it was with great excitement that I put my earphones in and turned the volume up (because you can’t listen to the Crüe without blasting them at top volume). Ultimately another “Greatest Hits” collection, the soundtrack is the perfect mix of fourteen fan-favourites (including Dr Feelgood, Shout at the Devil amongst others) and newer hits recorded specifically for the film (The Dirt, Ride with the Devil, Crash and Burn and their cover of Madonna song Like a Virgin), the soundtrack delivers what it promises: an overview of the best hits and a reminder of some of the band’s biggest and most historically significant moments. 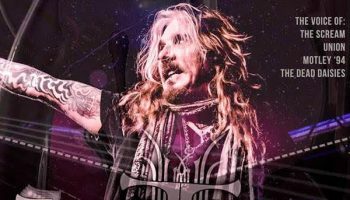 It truly is the perfect collection of songs spanning the Mötley Crüe career. It shows their inhibitions and manic energy at their very best (or is that their worst?). The soundtrack opens with The Dirt (Est. 1981) featuring Machine Gun Kelly; a lyrical summary of the Crüe’s wild antics, setting expectations for anyone who hasn’t heard of the Crüe because they’ve been living under a rock. MGK’s rap pitted against their signature sound gives the song an added kick, and ties in nicely with his role as Tommy Lee in the biopic. The album then slips effortlessly into classics including the infamous Girls, Girls, Girls a song known for its party theme and for mirroring the lifestyle of the band itself and Shout at the Devil, a song originally met with controversy for its satanic title and album art, but which Sixx has always stated is about “pushing back”. Returning to new songs, Ride with the Devil is a catchy nod to the band’s past, while also a nod to the biopic’s title with the line “give me the dirt”. It was their cover of Madonna’s Like a Virgin that I wasn’t sure about. It gave the song an edgy twist, but I would have liked to hear them make it their own just a little more. 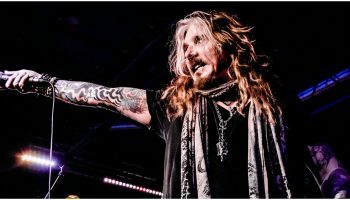 It is no easy task selecting a collection of songs to represent Mötley Crüe’s decades-spanning wild-ride of a career, but I think they’ve succeeded in building an exciting narrative with the songs included, a collection of classics that eloquently emphasise key moments that shaped the film and of course the band. 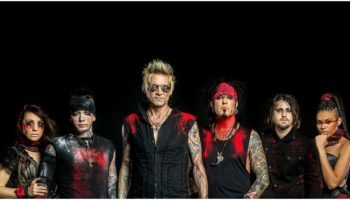 Interview: Nikki Sixx talks new Sixx:AM album!